I woke up to another icy scene here in Killybegs. There'd been a bit of overnight snow once again, and it was bitter but bright. I'd planned to spend today heading north from Killybegs up as far as Dunfanaghy, taking in some sites that rarely get any coverage, and then coming back into town here for mid afternoon. 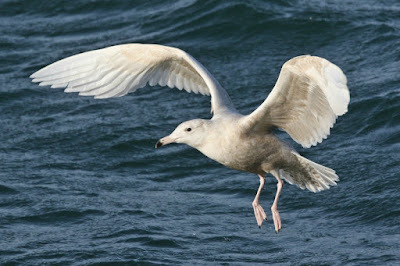 And so, after another Full Irish, I headed north through the snow covered hills having watched an adult Glaucous Gull and a couple of juvenile Iceland Gulls in the harbour early morning. First stop was Portnoo, and the adjacent Narin Strand. I'd never visited this place before but it had a bit of form with a King Eider a few years ago and the odd winger. 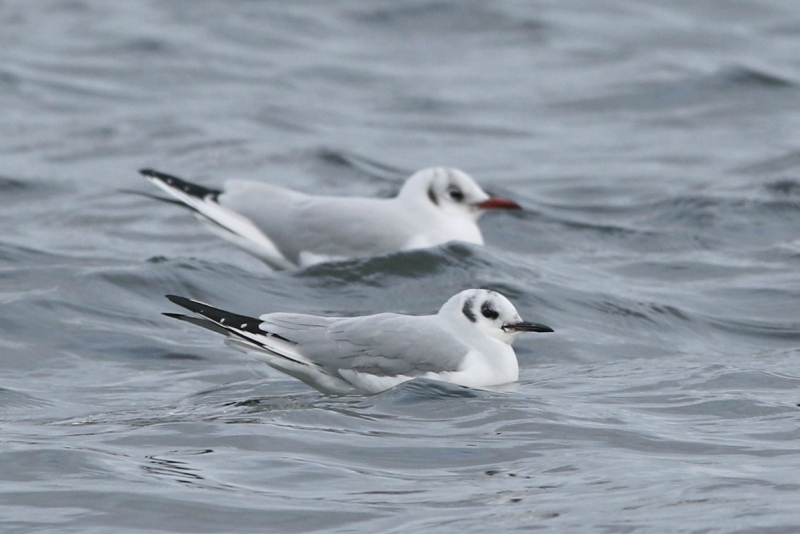 But today, I had to put up with three lovely drake Long-tailed Ducks and a close Black-throated Diver along with the more numerous Great Northern Divers and Black Guillemots. I headed off, and rejoined the N56 where just to the southwest of Lettermacaward there was a juvenile Iceland Gull roosting up on the small estuary. Next stop was the furthest point - Dunfanaghy New Lake and the surrounding fields. I'd been up here before, the first time to twitch a Taverner's Canada Goose back in 2001, and quite liked the feel. I scanned through the ducks, hoping there'd be some kind of yank present, but to no avail. 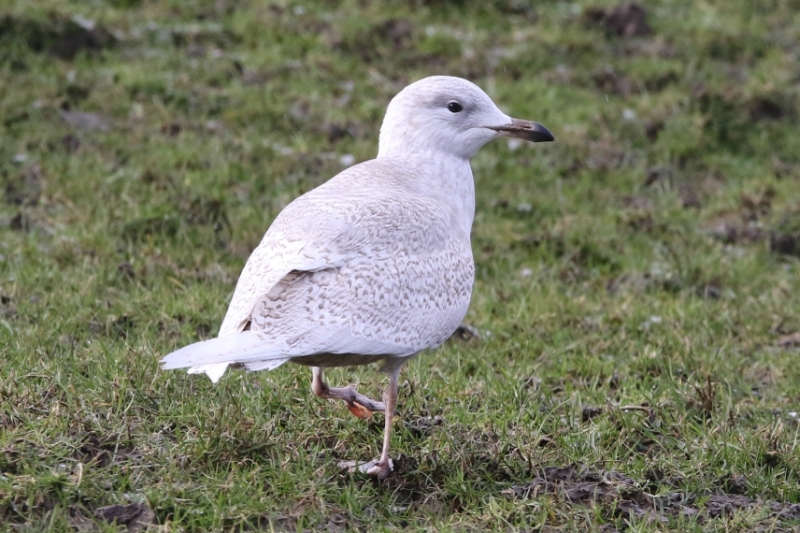 There was a confiding juvenile Iceland Gull chewing up the worms in a field full of Common Gulls, while the 600 or so Barnacle Geese and 30 Greenland Whitefronts reminded me I was a fair way away from London. Heading back, I stopped in at Magheroarty and as well as getting my first ever views of Tory Island, that was a nice adult Glaucous Gull plonked on the beach. Another site I'd heard of from back in the day, when there was a lot more active fishing was Burtonport. Given the void of sightings from here for over a decade, I didn't think there'd be too much. But a quick laying of the loaves provided me with company - a load of gulls including single juvenile Iceland and Glaucous Gulls. 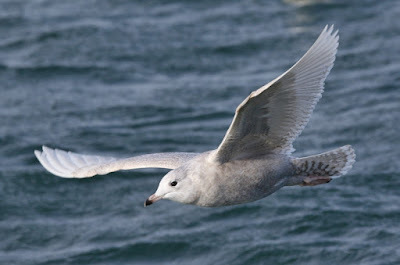 Typical Donegal winter birding! 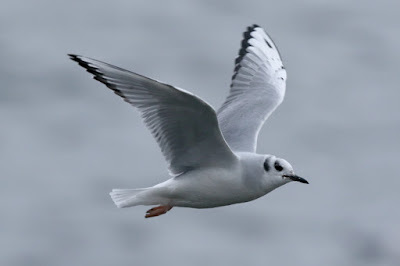 Back at Killybegs, and with a couple of hours of light left, I started scouting about the main pier and Gallagher's - typically a few white wingers, including a nice adult Iceland Gull that did a flyby. Looking over to the other side of town, the factories were obviously working as there were hordes of gulls and so I headed over. 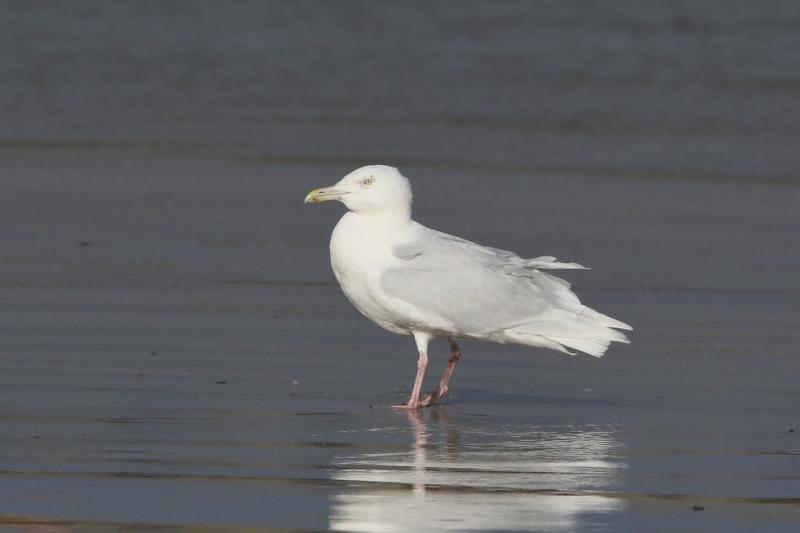 Frustratingly, there was a metal ringed Herring Gull that I couldn't get anything on but single Glaucous and Iceland Gulls coming to the scraps were pleasant enough. Initially I thought it was an adult, but then when it did a quick fly about and I got some shots the black in the inner primaries and markings on the primary-coverts revealed it was in fact a second-winter. It wasn't the gull I'd expected to find here at Killybegs, and remarkably it is the first record ever for County Donegal. 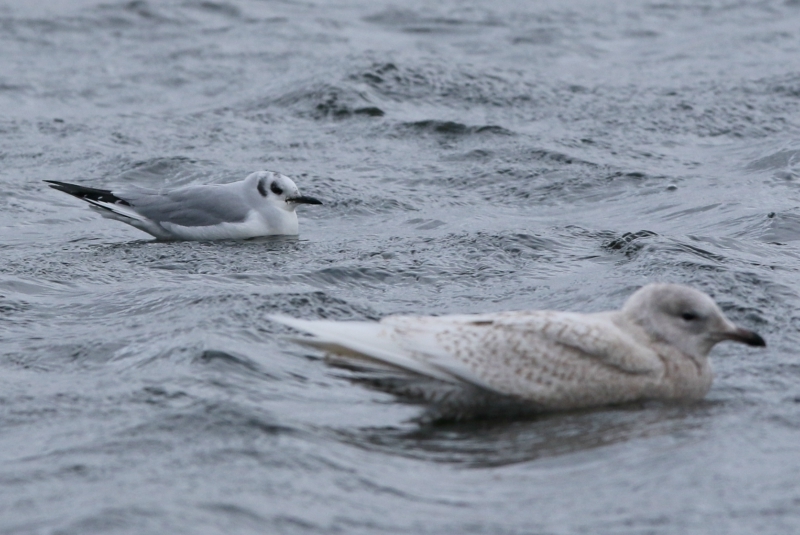 That's now two counties I've found the first Bonaparte's Gull in. Probably says more about what I have done with my life rather than anything else! Nice work! Ridiculous numbers of white wingers inn just two days as well. Very nice indeed. Brings back good memories - would love to have found that.